Daily Telegraph – July 24, 1948. A Dutch engineer who has been two months in Australia was found critically wounded with a bullet hole in his head at Livingstone Park, Marrickville, last night. Police took possession of a revolver, which was found lying near the wounded man. The engineer, Cornelius Marinnes Lokkerbol, 29, married, of Marrickville, was admitted to Marrickville Hospital. SYDNEY, Sat July 24: A 29-year-old Dutchman who died in Marrickville Hospital today with a bullet wound in the head had felt himself an outcast in Sydney, police said. He was engineer Cornelius Marinnes Lokkerbol, of Dulwich Hill, who had been subject to fits of depression He was found wounded in Livingston Park, Marrickville, at 8.45pm yesterday with a revolver beside him. He recently came from Batavia. Presumably Lokkerbol was a marine engineer. The report gave the impression that he was a recent migrant, but this was not the case. 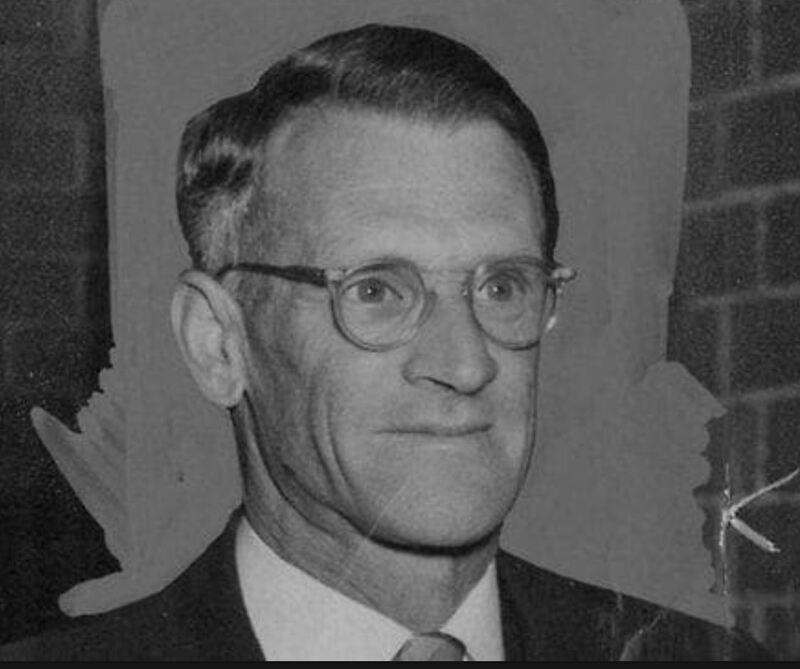 He had been married at Marrickville in 1943. He had arrived back in Sydney aboard the ship El Liberator on May 16 1948. It certainly appeared that the young man was friendless in Sydney. The only death notice was inserted by his friend V.B Kleyweg-Corbitt, a fellow Dutchman from Perth. And what of his wife? No mention had been made of her in the news reports. It turned out that she had left Lokkerbol on the day he shot himself, after accepting a position in country New South Wales. She had answered an advertisement in the Newcastle & Morning Herald in April that year, using her maiden name, Norma Rose. The property was about thirty miles west of Willow Tree, and the nearest town of any size was Quirindi, some ten miles north of Willow Tree. Elizabeth (Betty) Fleming (aged 36) was mother to three young boys and pregnant with her fourth child. Her husband Tom (aged 39) was a wealthy grazier. Betty Fleming was well off in her own right. Immediately after her arrival at Mount Parry Station on July 24th, Norma received a phone call advising of her husband’s death. It was not until several days later that she told the Flemings, confessing that her real name was Norma Lokkerbol. She said her husband had been suffering from war neurosis, and had been very cruel to her (perhaps he had served with the Dutch Merchant Navy). She also said he had threatened to shoot both her and himself if she left, so that no-one else could have her. Norma told her employers that after she left Sydney, Lokkerbol went looking for her with a revolver, and took his own life the same evening. She apologized for going to Mt. Parry under false pretences and left the property to settle her late husband’s affairs. The Flemings were deeply shocked by the story, and full of sympathy. 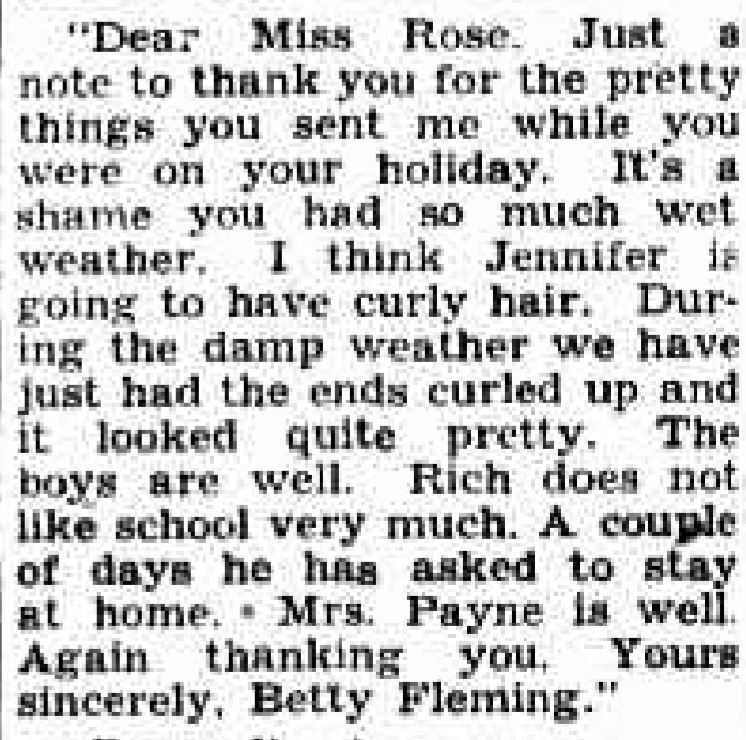 Mrs Fleming urged her to return, which she did within a week or so. As Betty Fleming was preparing to give birth and busy with her three boys, Tom Fleming continued to offer support and sympathy to the attractive young widow. He took her on drives around the property. Almost inevitably a relationship developed between the attractive young widow and her wealthy employer. In September, Mrs Fleming gave birth to a daughter, Jennifer. She had not welcomed a fourth pregnancy, but she adored the little girl. Betty Fleming began to feel an outcast in her own home, and certainly from her husband’s affections. Outwardly she was her pleasant, cheerful self, but privately she was in great distress. The situation at Mt. Parry became intolerable for Norma Lokkerbol too, particularly after her relationship with Tom Fleming become a sexual one. 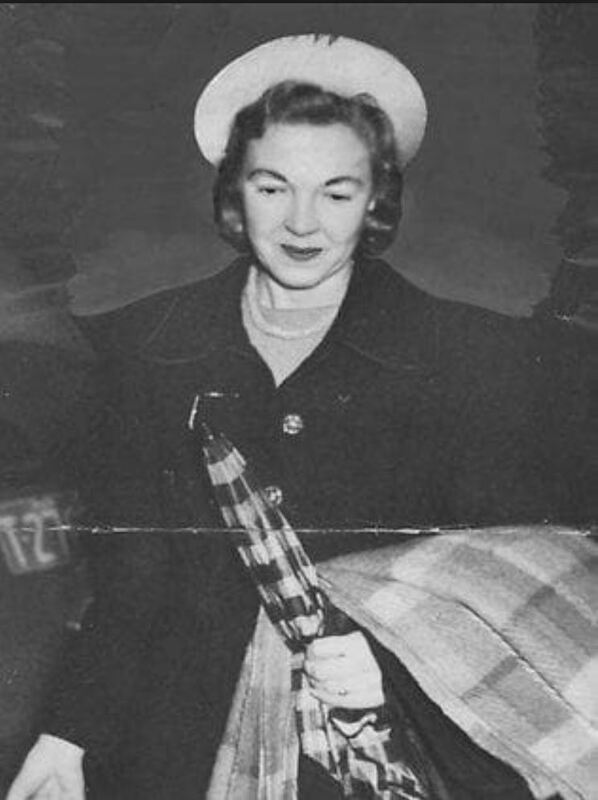 In mid 1950 she left Mt Parry and took a position in the accounts department of the Sydney G.P.O. Unfortunately, it was the not end of the relationship. 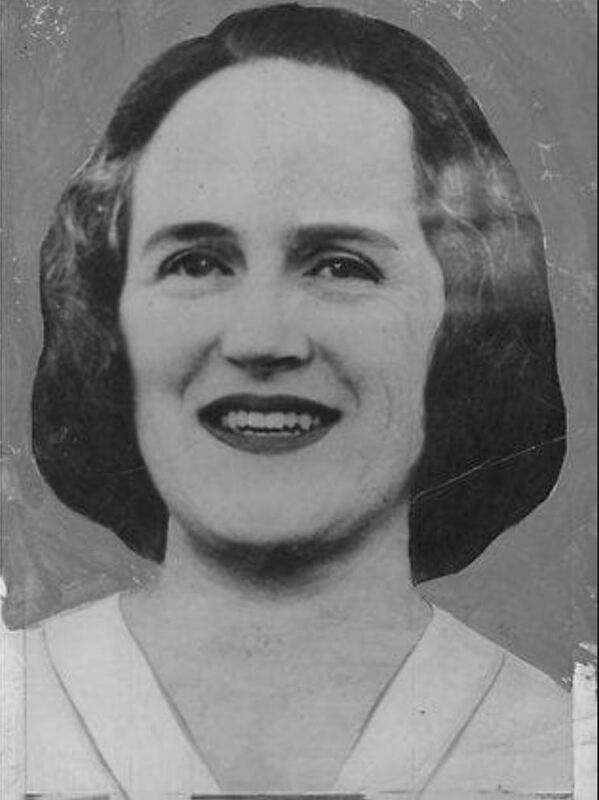 A besotted Tom Fleming showered his lover with passionate letters and began making frequent to trips to Sydney, where Norma was living with her parents. Fleming made promises that one day they would be together. Given the difficulty of divorce in those day and the complications it would create for a husband and father, a future for the couple seemed highly unlikely. But a semi-detached house in working class Hurlstone Park was vastly different to the splendours of Mount Parry station and like Fleming, Norma Lokkerbol allowed herself to dream. There could never be a happy outcome to this situation, and in June 1951 Mount Parry station would become the centre of a police investigation.